Many banks ran out of funds during the Great Depression. 1. What Happens to a Savings Account if a Bank Collapses? 3. Is an IRA Rollover FDIC Insured? The Great Depression was a severe global economic downturn that began in 1929 and affected the U.S. for the next decade. During the first four years of the crisis, 11,000 banks became insolvent and many consumers and businesses lost all of their savings. A similar event today would likely have a major effect on the nation's savers, but safeguards have been put in place to protect some savings accounts and individual retirement accounts. Bank failures during the Great Depression were partly driven by fear, as panicked savers began withdrawing cash before expected bank failures. As more cash was taken out, banks had to stop lending and many called in loans. This drove borrowers to deplete their savings, which made the banks' cash crisis worse. Eventually, some banks became insolvent and some savers who had not withdrawn their cash ended up with nothing. To restore consumer confidence in the nation's banks, Congress sanctioned the creation of the Federal Deposit Insurance Corporation. The FDIC now serves as a regulator and an insurer of the nation's banks. As of 2013, the FDIC insures bank-issued IRAs up to $250,000 per owner, per bank, for each account ownership category. This coverage applies to cash held in savings accounts, money market accounts and certificates of deposit. The FDIC does not cover securities such as stocks and bonds in IRAs or brokerage accounts. If you deposit $500,000 into one bank and split the cash equally between a savings accounts and an IRA that is invested in bank products, such as CDs, for example, the FDIC will fully insure your investments and cover your losses if your bank fails. This is because a savings account is considered a different ownership category from an IRA. IRAs are by definition individually owned, so you can't increase your FDIC coverage level on them alone unless you split your retirement funds among several banks. You can increase coverage levels on your savings by adding co-owners or beneficiaries to your accounts. The FDIC provides an additional $250,000 of coverage to your account for each joint owner. If you add "payable on death" beneficiaries, POD coverage is calculated per account owner. This means you get $250,000 of coverage for your beneficiaries, and your spouse can get an additional $250,000 of coverage for her beneficiaries. The FDIC has the power to seize control of insolvent banks. In most cases, the daily operations of a bank aren't affected because the FDIC quickly brokers a deal to have another solvent institution assume control of the failed bank's deposits and loans. If a buyer can't be found, the FDIC sells the failed bank's assets and uses some of that cash to cover losses suffered by depositors. The FDIC also repays depositors with cash held in its insurance fund. This fund is replenished with premium payments from solvent banks. 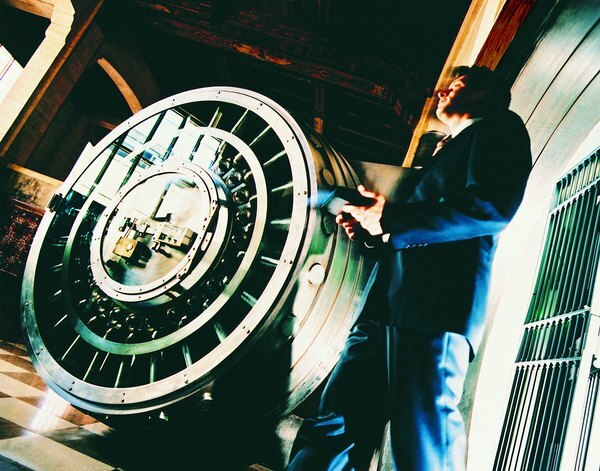 No depositor has ever lost a penny of FDIC insured cash, but the FDIC offers no precise timeline for insurance payouts in the event of a bank failure. Also, IRA and savings balances that exceed the coverage limit aren't protected. Even if some of the assets inside your IRA are not guaranteed by the FDIC -- such as stocks, bonds and mutual funds -- you won't lose the value of those investments simply because the bank that administered your IRA went bankrupt. Your IRA will simply be transferred to whichever institution picks up the pieces from your failed bank, and the assets inside it will continue to maintain whatever value they would have held if nothing had happened to your old bank.